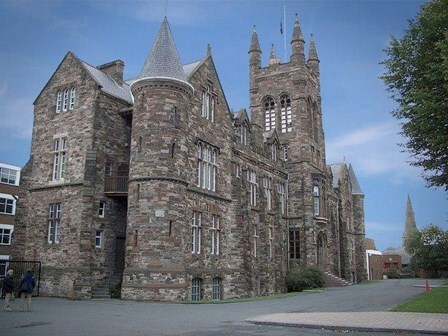 Belfast Royal Academy – Phase 1 & 2 Completed! The School Enhancement Programme was established in January 2013 to enable the refurbishment or extension of school buildings. The Minister for Education, John O’Dowd, has given the green light to cost £134m worth of construction work across Northern Ireland. The Belfast Royal Academy, Cliftonville Rd, is being subjected to a large scale renovation with the details of Michael Nugent’s involvement given below. The project is being executed in three stages, with stages one and two already completed, and is expected to be handed over in May 2016. Phase 1 was completed at the end of August 2015. It comprised of the full refurbishment of the Home Economics block including LTHW installation, Ventilation installation, and the Full refurbishment of Home economics and Dining hall plant room. Phase 3 is currently ongoing and is expected to be finished by May 2016. The completed phase 3 will consist of a Full mechanical installation in new build Music Block and also the Full refurbishment of the existing Learning resource block.